Montevideo is the capital of Uruguay. Use this to go to Punte del Estes. 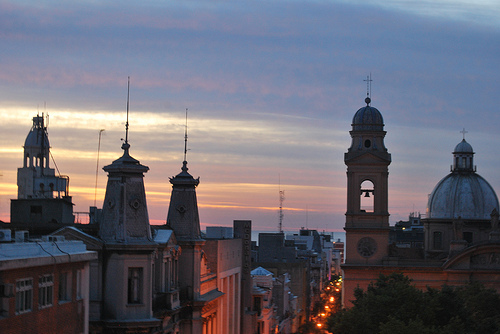 Or, if you want to visit Buenos Aires, it’s just a ferry ride away. Valid for travel until August 30th. Use ITA Software Matrix Airfare Search and flexible month search to see availability — enable advanced routing codes and enter “GRU” on the outbound field and “GIG” on the return field to search only this fare. Must purchase at least 7 days in advance of departure. 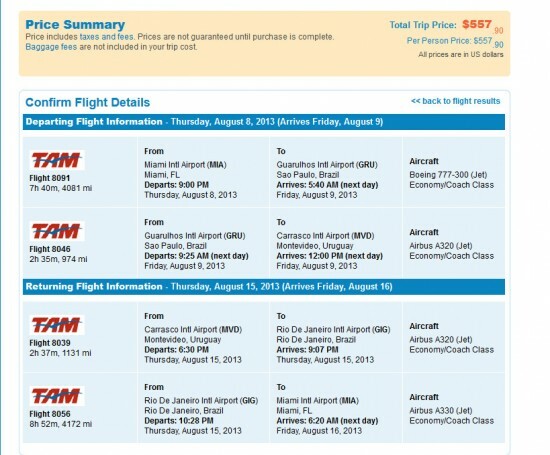 2 Responses to "Airfare Deal – TAM: Miami – Montevideo, Uruguay. $558. Roundtrip, including all Taxes"
$490 rt now during the same timeframe!